Situated in Vijayapura, a heritage city in Karnataka, Gol Gumbaz is definitely a monument attracting attention from all over the world. Gol Gumbaz is a mausoleum of Mohammed Adil Shah. He had been the Sultan of Bijapur (now Vijayapura). The Gol Gumbaz has cenotaphs of Mohammed Adil Shah along with wife Arus Bibi, daughter and his grandson. Gol Gumbaz construction was started in 1626 and got completed in the year of 1656. 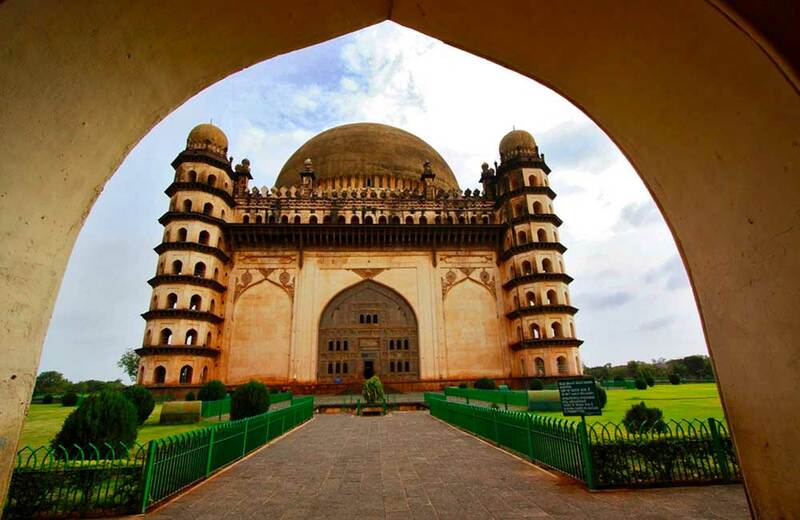 This world famous and renowned Gol Gumbaz Bijapur was designed and architected by Yakut of Dabul. The monument is a great example of Deccan architecture. The monument covers an area of total 1,700 m2. 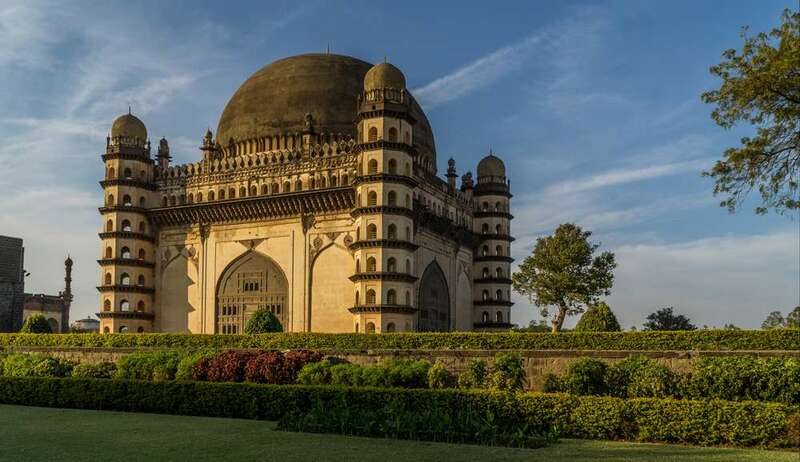 Gol Gumbaz is one of the most visited places in Karnataka ad attracting tourist from worldwide having the second largest dome in the world without being supported by pillars and also one of the biggest single-chambered structure of the world. The place is a marvel of Deccan architecture. The Gol Gumbaz got its name from Gol Gombadh which means a circular dome. 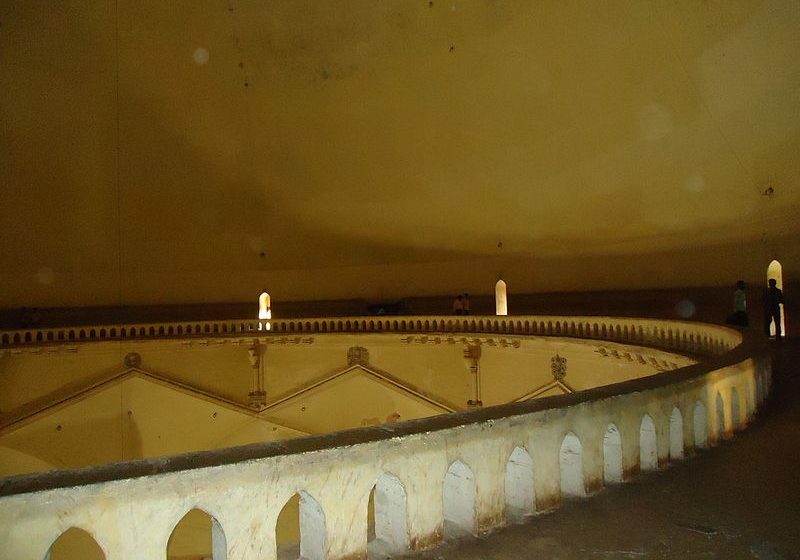 The dome of the monument has a diameter of total 144 feet. Underneath the dome, there is interesting gallery named whispering gallery. After climbing upstairs to whispering gallery, you will experience an outstanding example of architect and science of the 17th century. The gallery produces an echo many times even if you whisper in very soft tone. You can hear a clocks ticking approximately from 40 meters. 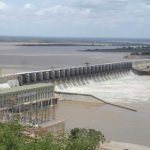 66kms away from Vijayapura, Alamatti dam is ,hydroelectricity power project on Krishna River, one of the perennial rivers of the south. An unfinished and tragic mausoleum of Ali Adil Shah II, the son of Muhammad Adil Shah who killed his own son for keeping his mausoleum pride unmatched. 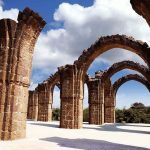 The Bara Kaman is an arched structured. Astonishing Shiva Statue in Bijapur is a now a place of pilgrimage. 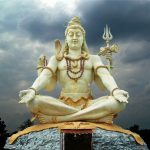 The Shiva statue installed there is 85 feet tall which weighs 1500 tons. The Idol is the second tallest in India attracting many visitors from around India which makes them spellbound. Ibrahim Rauza is a tomb of Ibrahim Adil Shah II. Ibrahim Rauza structure has been an inspiration behind the construction of one of the world’s seven wonders the “Taj Mahal”. 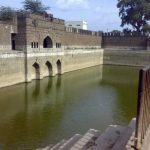 Taj bawdi is one of the famous Bijapur tourists’ places being grand and biggest bawdi holding architectural significance in Bijapur. Gol Gumbaz is the second largest dome of its type in the World. 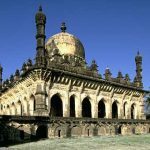 Here is some more to read about the historic place’s interesting post and to explore more in Bijapur, Karnataka. 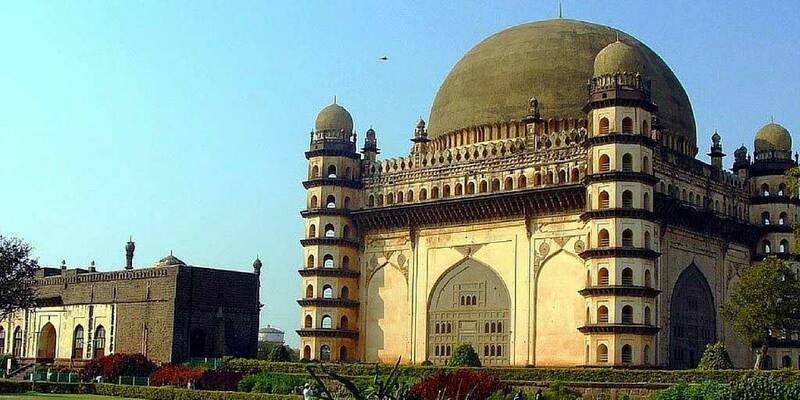 Gol Gumbaz is situated in Vijayapura city (Bijapur) of Karnataka District, in South India. It is a mausoleum of Mohammed Adil Shah II. Gol Gumbaz is famous for its big dome. It is world second largest dome. It has a single one chamber space in the world. The construction took 30 years for completion of Gol Gumbaz.